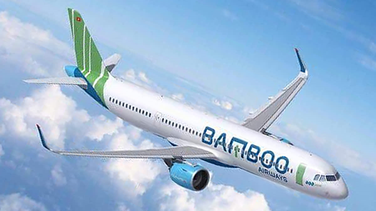 Fledgling Vietnamese carrier Bamboo Airways has received its aviation license from Vietnam’s Ministry of Transport, which will allow it to transport passengers, mail and cargo on domestic and international routes. The Hanoi-based airline, which is a unit of Vietnamese conglomerate FLC Group, will start with domestic leisure destinations where FLC has major investments, including Thanh Hoa-Quy Nhon, Thanh Hoa-Phu Quoc and Thanh Hoa-Nha Trang. International services, which will commence later, include China, Hong Kong, Japan, South Korea, the Philippines, Singapore, Taiwan and Thailand. It also plans to launch flights to the U.S. and Europe in the longer term. FLC Group chairman, Trinh Van Quyet, said the carrier will launch its first flight within 45 days after receiving the license. A Reuters report said that Bamboo Airways will be Vietnam's fifth airline after Vietnam Airlines, budget operator Jetstar Pacific Airlines, budget carrier Vietjet Aviation and Vietnam Air Services Co.
FLC Group and Bamboo Airways in March signed a purchase agreement for 24 Airbus A320neo family aircraft for domestic and regional routes, and 20 Boeing 787-9 Dreamliners in June for medium- and long-haul services. Earlier this month, Bamboo Airways' rival Vietjet signed a US$6.5 billion agreement to buy 50 Airbus A321neo jets, part of aggressive investment in the airline's fleet, which has provided lucrative business for both European aerospace group Airbus and U.S. rival Boeing.